Hello! I have a fun manicure to share with you today! I wasn't sure what to call this, so I went with Texture Skittle. I wanted to do something different and be a little out of my comfort zone. I did each finger in a different, but somewhat coordinating color. I'll list everything I used at the bottom. I really like how this came out! Enjoy! 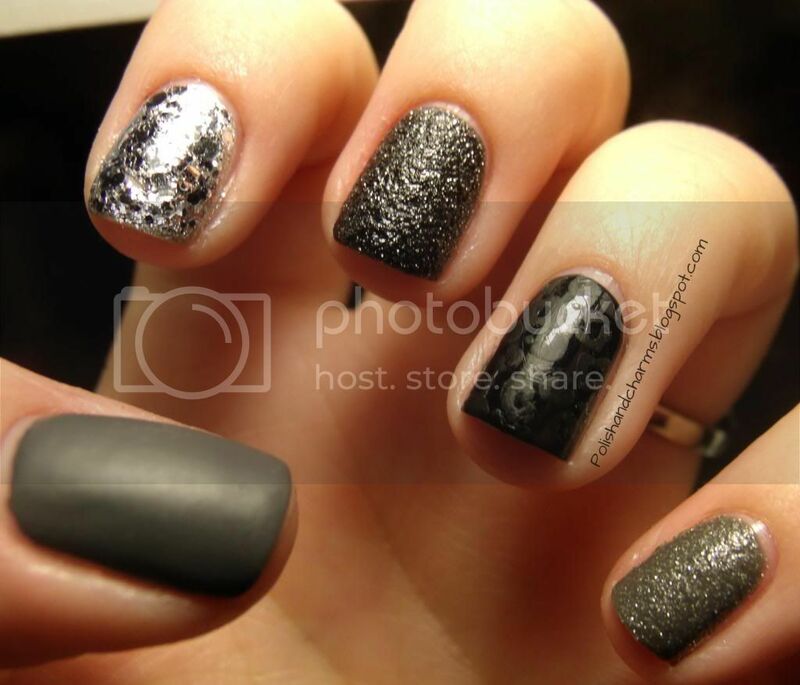 Polishes used: Zoya London and Dahlia, Nina Ultra Pro in Black, an unnamed silver, Studio M Platinum Record, Sinful Colors Smokin' and Revlon Matte Top coat. The is was Konad M57. So pretty! I love the combo! i love this! 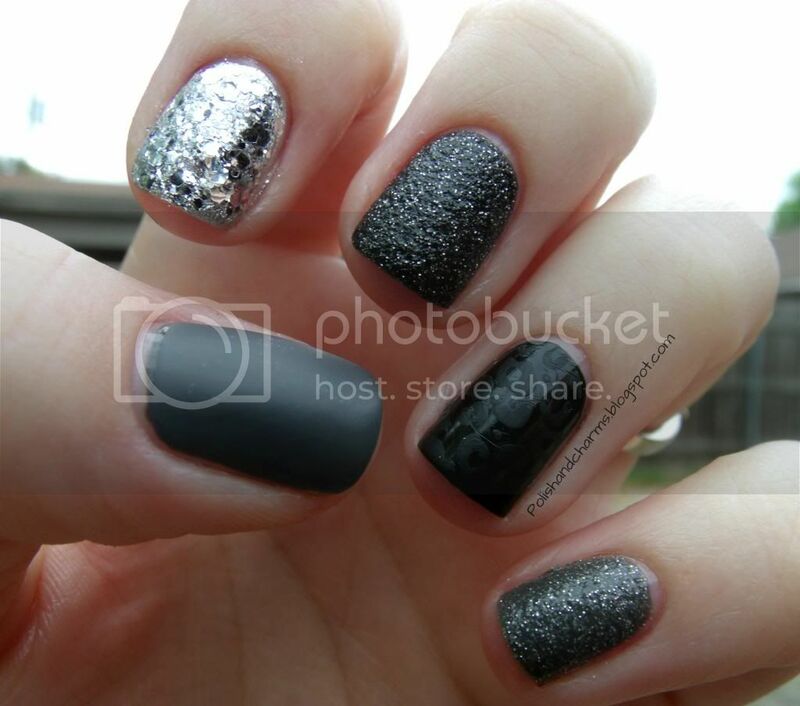 its different than your normal manis but i really love it!! 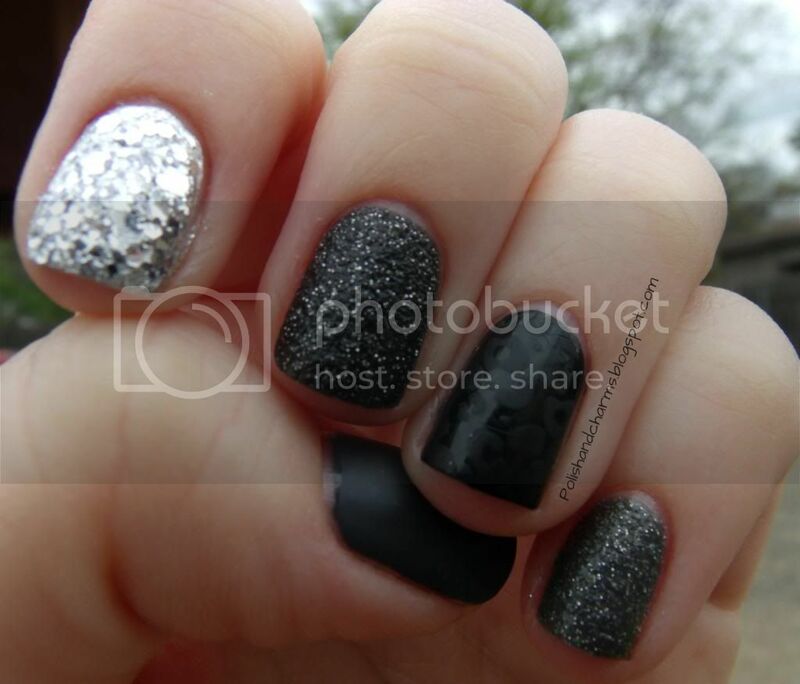 What a fabulous idea for a mani! How fun! Love each nail! I love how this turned out! I know it can be hard to wear something like this when it's something you don't normally wear, but I think it looks edgy! I wouldn't mess with a chick with nails like these! I love this look! It is gorgeous! Thanks! I loved it too!